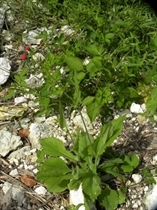 Habit: Emilia fosbergii grows as an herbaceous annual to about 1 meter in height (usually much shorter). The leaves are arranged alternately, to 8 cm in length and without petioles; sagittately clasping to the stem. The leaves are obovate to oblanceolate with an acute or obtuse leaf apex and dentate to lobed margin. The leaves have a sparse covering of pubescence. The actinomorphic flowers are arranged in heads. The head is subtended by a series of phyllaries forming an urn shaped involucre. The calyx has been reduced to a series of fine hairs (pappus). The corolla has 5 fused, salmon red petals. There are 5 stamens that are fused to the inside of the corolla tube. The inferior ovary has a single locule. The fruit is an achene that retains the pappus at maturity. The pappus aids in aerial fruit/seed dispersal. 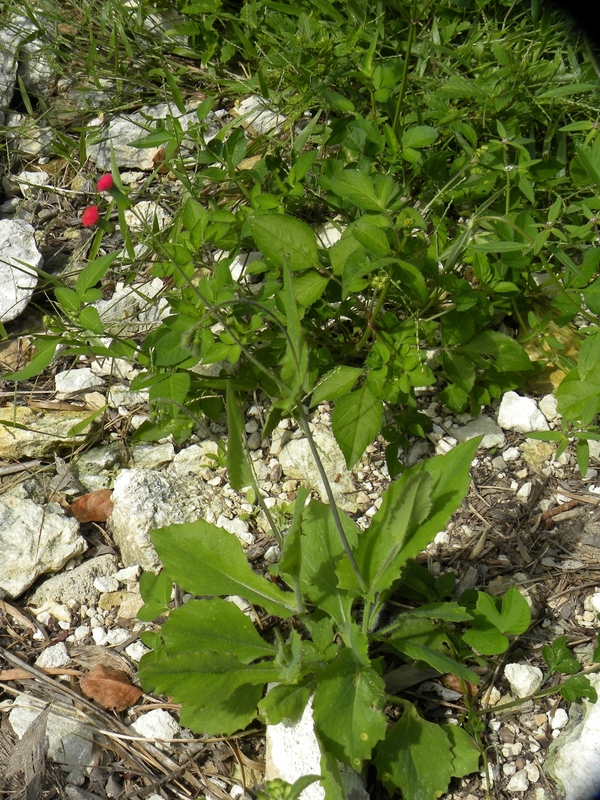 Habitat: Emilia fosbergii grows in human disturbed habitats such as yards, roadsides and abandoned fields. Distribution in Bahamas/Globally: Emilia fosbergii occurs throughout the Bahamian Archipelago as well as the southern United States to California and Hawaii, the entire Caribbean region and South America.